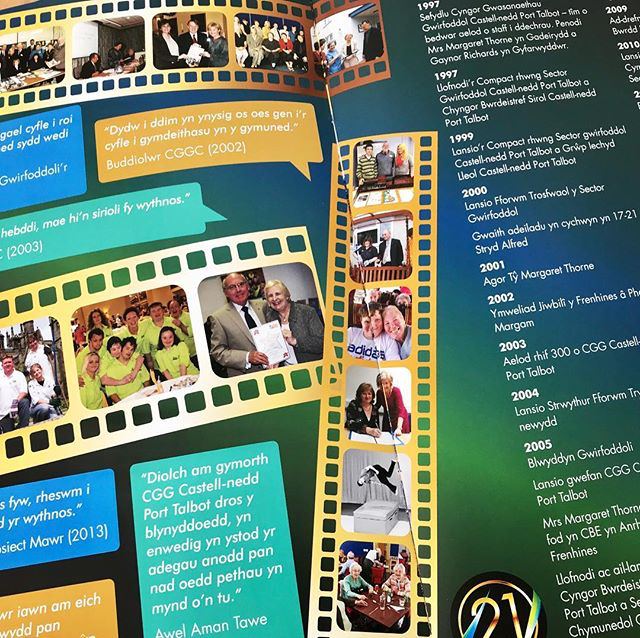 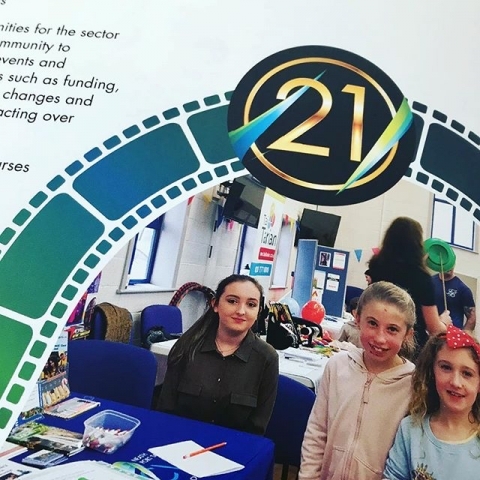 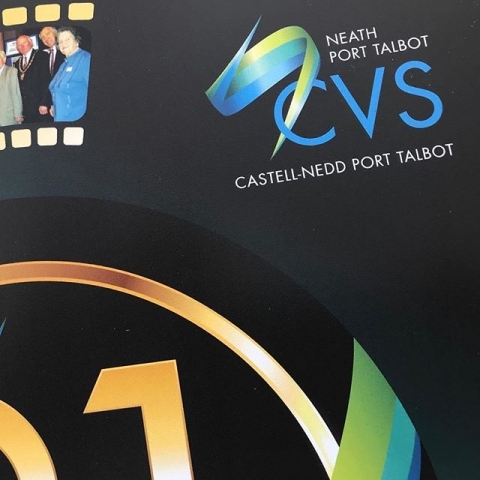 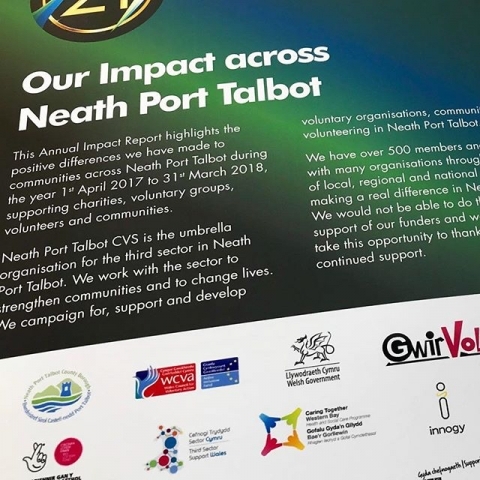 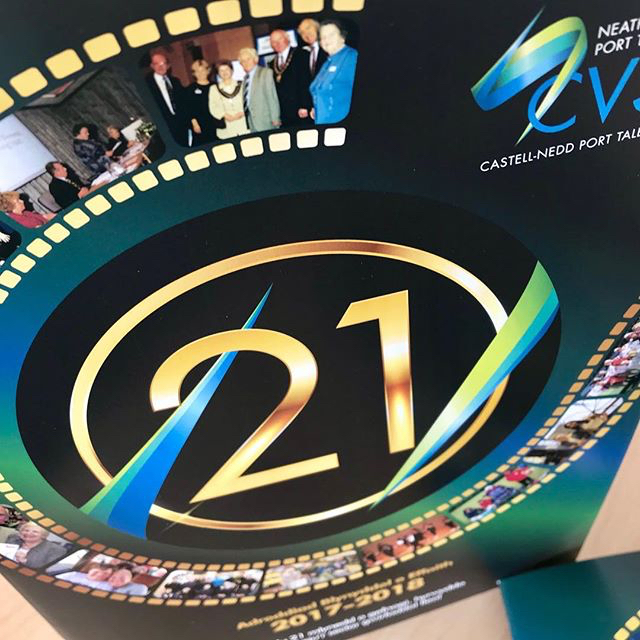 In 2018, Neath Port Talbot CVS celebrated 21 years of successfully supporting the third sector in Neath Port Talbot and wanted a special, commemorative edition of their Annual Report and supporting materials for their AGM. 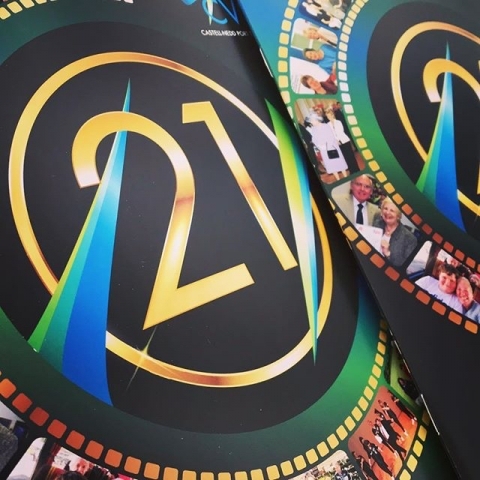 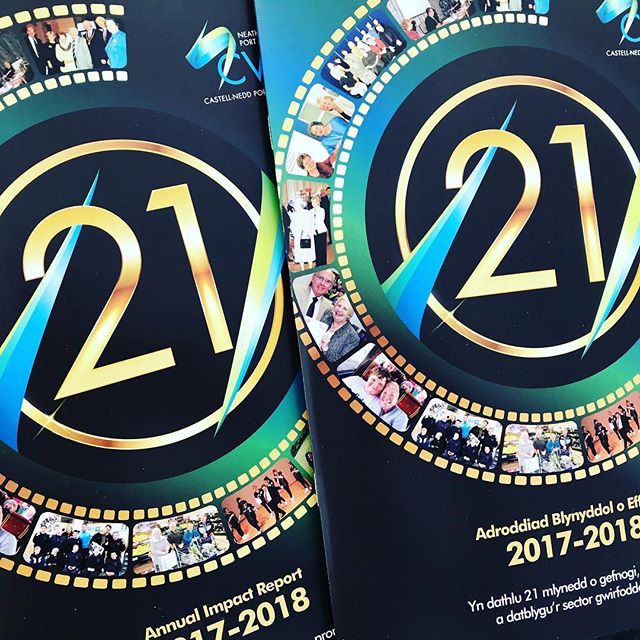 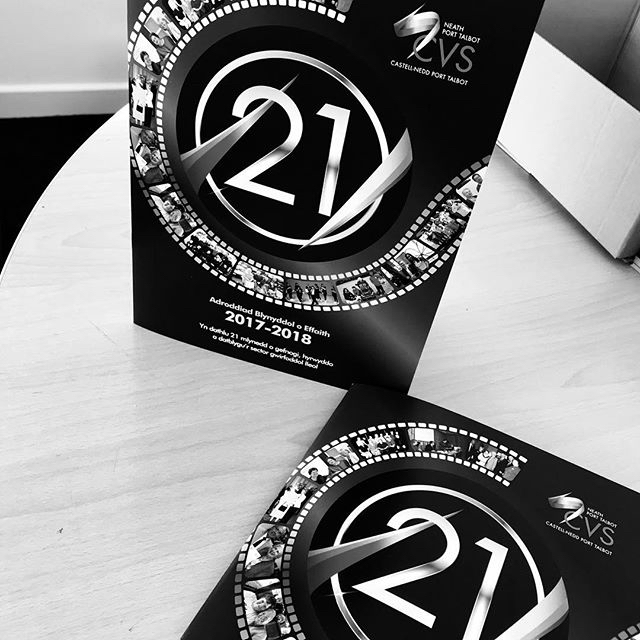 UGD provided the prestige required by blending a striking black and gold ’21’ design with NPTCVS’ corporate colours to create a beautiful brand for the flagship document and event of the year. The Annual Report also featured photos and milestones from every year since NPTCVS was established and followed a flowing film reel-style design to display the organisations timeline.